Views, views, views! Magnificent views from all levels of this updated town home. Designed for entertaining, the home is in a private location & features upper & lower decks. The interior is rich w/ exquisite finishes & the highest quality craftsmanship. Gorgeous wide plank, walnut floors & a dramatic, stone fireplace in the 2-story great room where expansive windows perfectly frame breathtaking views. The remodeled kitchen features slab granite, custom tile backsplash & stainless appliances. The master bedroom features a custom master bathroom and walk in & closet. The second bedroom opens to the upper deck. The full bath has a custom spa like shower. The third bedroom is located on the main floor w/ a 3/4 bath. 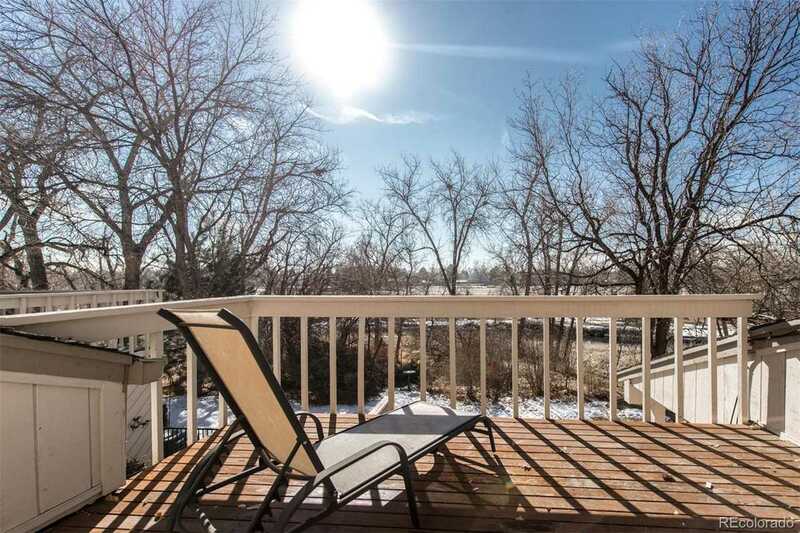 A courtyard patio on the front offers privacy & the back patios overlook the Cherry Creek River & Highline Canal trail w/ beautiful, mature trees & lush landscaping. A luxury lifestyle & convenience is what this neighborhood offers! Steps to trails, parks & amenities! SchoolsClick map icons below to view information for schools near 2770 South Elmira Street #31 Denver, CO 80231. Real Estate Listing at 2770 South Elmira Street #31 Denver, CO 80231. Description: The real estate listing at 2770 South Elmira Street #31 Denver, CO 80231 with the MLS# 6615215 is currently listed for $450,000 and has been on the Denver market for 69 days. You are viewing the details of the real estate listing from the Denver Metrolist at 2770 South Elmira Street #31 Denver, CO 80231, which is located in the Park Of Woodstream Village neighborhood and features 3 bedrooms, 3 bathrooms, and has approximately 2594 sq.ft. of living area.